Blind Pastor Josephat - Impoverished & Ravaged by Jiggers! Orem: 1st Surgery Done -- Orem has New Eyelids! WOOOW ! 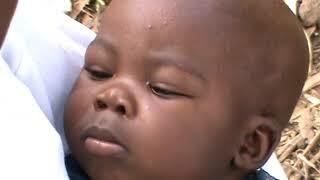 Baby Mandela hurt abdomen verry much | Small baby Mandela dry face when d0 This.